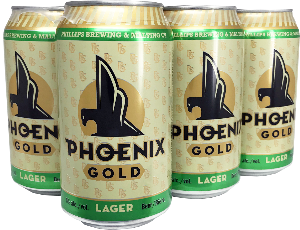 We are thrilled to announce Phoenix Gold lager is making its debut in new 355mL cans! 6 packs are available at your preferred private retailer, while 12 can packs can be found at BC Government Liquor Stores. The recipe remains the same, but the original Phoenix design has been reborn referencing the neon sign that proudly perches atop our tasting room. This new neon sign looks out towards the former site of Victoria Phoenix Brewing that inspired this beer’s name originally.